Location: Located in northern Shanxi Province, Xinzhou neighbors Datong in the north and is bounded on the northwest by Inner Mongolia. History: As early as twenty-eight thousand years ago, human settlers had moved in this area. During the Warring States Period (476BC-221BC), Xinzhou was a part of the Zhao Kingdom. After the Qin Dynasty (221BC-206BC) unified China, the central government began to establish counties and prefectures to administrate this area. Xinzhou as a municipal city was authorized in 1989. Physical Features: Basically, Xinzhou belongs to the Loess Plateau. Mountainous and hilly area occupies over sixty percent of the city's entirely territory. No less than one hundred and forty mountain peaks are more than 1,600 meters (5,249 feet) above the sea level. Rivers runs through almost every districts and counties of the city. 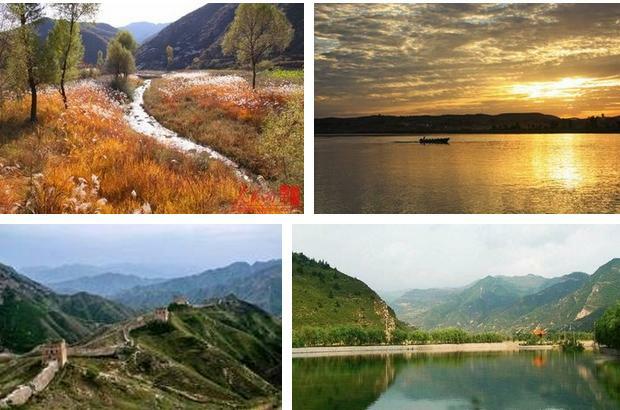 However, most of these rivers are seasonal in the drainage area of the Yellow River and the Haihe River. Climatic Features: Bearing a typical continental monsoon climate, the city has an annual average temperature of about 6.5C (43.7F). Xinzhou's winter is very cold, and summer is comparatively cooler. Yingxian Wooden Pagoda was constructed in the year of 1056 located in the Fogong Temple northwest of Yingxian County. As the oldest and highest extant wooden pagoda in China, it can be a rare treasure in Chinese ancient architecture. Exquisite structure with fine subtle Buddha statues sacrificed inside brings great value on the research of the pagoda in terms of religion and architecture. Chongfu Temple, commonly known as the Damiao Temple, is seated at East Street in Shuocheng District. It was first built in the Tang Dynasty (618-907), being the most intact and largest ancient building complex in Datong and Xinzhou Region.